2018 Jaguar F-TYPE AWD luxury coupe has impressive sporty performance. Two-door coupes are the perfect summer car, with their sporty looks and performance being highlights of their summer charm. The 2018 Jaguar F-TYPE is a premium luxurious member of the two-door coupe segment. That gives the driver a performance-filled experience to enjoy when behind the wheel! With a 5.0L, supercharged V8 under the hood, you’ve got an enormous 550-hp to appreciate wherever you go! The AWD version available at Jaguar Colorado Springs also gives you unparalleled maneuverability on virtually any driving condition! The 2018 Jaguar F-TYPE is a finely-tuned performance coupe, perfect for a drive in town or on a cruise through the beautiful Colorado mountains! At Jaguar Colorado Springs you can expect reasonable pricing on the F-TYPE, plus our highly rated customer service will make you feel like a genuine member of our family! 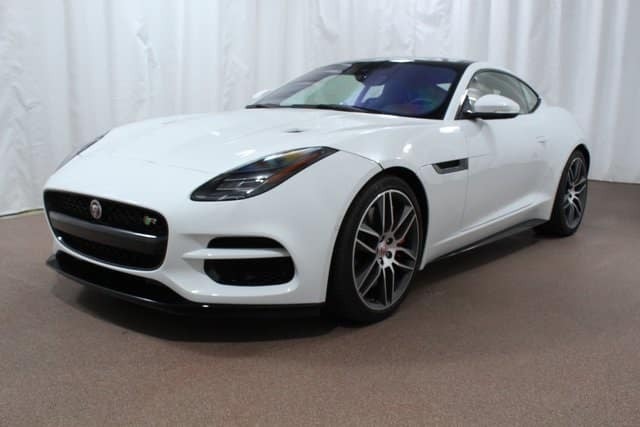 Stop in today, because we only have one 2018 F-TYPE in stock and it will not last long! If you love performance and want a car that will turn heads, then the 2018 Jaguar F-TYPE is the coupe for you!